Our little garden bed is growing like crazy! We have tons of tomatoes and peppers popping off all of our plants. While we are still waiting for the tomatoes to ripen, now is a good time to talk about any kind of pest and disease problem that might show up! Our little garden isn't so little anymore! We've got a lot of stuff to cover in this video, but before we do, check this out! Look at those beauties! We're getting lots of tomato clusters on these tomato plants, our early girls are looking good! As for our sweet 100s, we've got a lot of good vines showing up like this one. And we've got a ton of good peppers growing on all of our plants! I mean just look at these beauties right here! Gorgeous. Absolutely gorgeous! Really rainy and wet outside today, so we're not going to get a whole lot of action going on in the garden, but it's not going to stop us from talking about what I want to touch on today, pest and disease problems! Fortunately, we don't have any pest or disease problems but it's not going to stop us from touching on them, and specifically talking about the signs of and things to look out for when it comes to pest and disease in your raised garden bed. As far as applying a pesticide, that should be your last line of defense if all other disease prevention options have failed. Most vegetables in raised garden beds like ours can thrive on their own, without the use of pesticides. However, the use of fungicides as a preventative measure can be an option. Especially if certain disease problems have been problematic in years past, and certain management options have not been effective. Healthy plants are absolutely the best prevention against disease and pests. To achieve that, simply use gardening best practices to promote and keep healthy plants thriving. Things like simply pinching off suckers and pruning will do that for you. Again pruning dead or dying plant material is going to reduce the risk of disease problems setting into your garden. Another thing that you can do after you've harvested your vegetables and fruits, uproot plants completely if at all possible. And if you do have diseased and dying plants, you should uproot those and remove them from the garden bed so that it doesn't spread to your other plants, if at all possible. And it's raining again! Thanks mother nature! 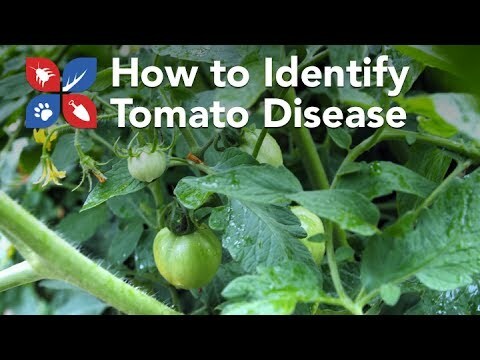 So now let's touch on some of the most common disease problems that you find in a garden bed, specifically as they relate to tomato plants. So let's first talk about bacterial wilt or southern bacterial blight. Now this is a disease that survives in the soil for extended periods of time and enters the roots through wounds made by either transplanting, cultivation, or insects. Controlling infected soil, can be pretty difficult but it is achievable. One way to achieve this is simply rotating your crops. You can put in some corn or beans and cabbage and do that for at least three years to try and gain control. And simply removing and destroying any infected plants is going to help you get this under control or prevent it from happening in the first place. Early blight disease is first observed as small, brown lesions mostly on older foliage. Spots in a bulls eye pattern my be seen in the center of a diseased area and tissues surrounding the spots may turn yellow. If high temperature or humidity occurs at this time, much of the foliage is killed. The lesions on the stems are similar to those on the leaves and sometimes girdle the plant if they occur near the soil line, which is also known as collar rot. On the fruits the lesions can get to a considerable size. They usually involve nearly the entire fruit and most often, infected fruit drops off the plant. Some of the things that you can do to prevent early blight, again, using some crop rotation. You can eradicate weeds and take out tomato plants that might be infected. Space your plants out in a way to where they're not touching. Mulch plants, fertilize properly, and don't wet any of the tomato plants with irrigation water. 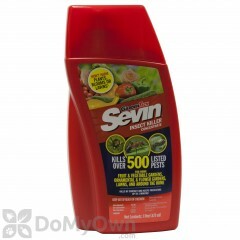 Trim off and dispose of any lower branches and leaves that might be touching the ground. And pinch off suckers to make sure your plants are still thriving and growing vigorously. Now late blight is a potentially serious disease problem in tomato plants. It's especially damaging during cold, wet weather. And the fungus can infect the entire plant. All plants parts. Young leaf lesions are small and appear as dark water soaked spots. Now these leaf spots will quickly enlarge and a white mold will appear at the margins of the effected area on the lower surface of the leaves. Complete browning and shriveling of the leaves and stems can occur within 14 days from the first symptoms. Infected tomato fruits develop shiny, dark, or even olive colored lesions which may cover pretty big areas on the fruit. The fungal spores can be spread through the garden and plants by either rain or wind. You got average day time temperatures of 70 degrees plus and high humidity, perfect for this problem. As far as minimizing late blight problems, here's some guidelines you can follow. You should try and keep your foliage dry, so when you're setting up your garden bed, make sure it's in an area that gets plenty of sunlight. We've already touched on this, but make sure you've got extra room between each of the plants so that they can grow out and also avoid any kind of over head irrigation, especially late in the evening. The extension office recommends that you destroy voluntary tomato plants and night shade weeds that might harbor the fungus. 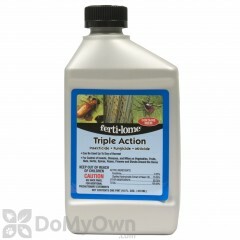 If the disease problem is serious enough, you can got a chemical control route. 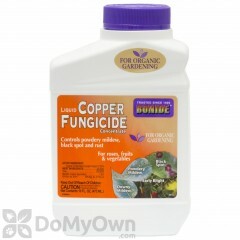 We would recommend you using something like a cooper fungicide to take care of the problem. Next up on the list, Septoria Leaf Spot! Now this is a destructive disease that targets tomato foliage. More specifically, it targets lower leaves that are near or touching the ground and after fruit has already started to set in. Numerous small circle spots with dark boarders surrounding a beige colored center appear on older leaves. Tiny black specks which are spore producing bodies, can be seen in the center of the spots. Now severally spotted leaves will turn yellow, die and fall off the plant. Now the perfect combination for this fungus is when temperatures range between 68 and 77 degrees, you've got high humidity, over head irrigation or lots of rain fall. Now while you do want to remove these leaves, something that you have to keep in mind is, defoliation can weaken the plant. It will reduce the size and quality of the fruit and might also open it up to some sun scalding. The fungus is not soil born but it can over winter on previous crops, decaying vegetation and some wild hosts related to tomatoes. There goes Brian! Say hi Brian! And last but most certainly not least, blossom end rot! Blossom end rot is a physiological disorder of tomatoes. Symptoms are water soaked spots in the blossom end of the fruit, and these spots enlarge and become black. Secondary infection by decay causing organisms usually follows. Now usually the biggest cause of this problem is calcium deficiency in the end of the developing fruit. Extreme fluctuation in moisture, like too much rain fall, insufficient soil calcium, root pruning from near by cultivation, and excessive nitrogen, potassium and magnesium fertilization can lead to this problem. Some tips for preventing and treating for blossom end rot, well one, late spring planting of tomatoes should be with in the date range of your specific area. I would reach out to your extension office and see what they recommend. 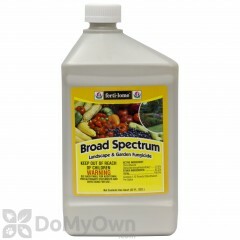 Perform a soil test and see where your pH level is at, and if needed, lime the soil. That report will tell you how much lime you need to add to your soil to bring that pH level up, but something to keep in mind, you want to do it about three to six months prior to planting in the garden. The soil report will also recommend what kind of fertilizers that you should till into that soil to get it prepped and ready for plants to go in it. If calcium levels are not sufficient but the pH is correct, gypsum might be in order. You should till that into the ground about one to two pounds per 100 square feet. Again, just get a soil report from your extension office and get their recommendations on what you should do. So that's it! That's your most common disease problems that you'll find with in a raised garden bed, and specifically tomato plants. Hope you found all of that information helpful. As always, if you have any other further questions or you want clarification on some of these disease problems, leave them in the comments section below, email them over to our customer service staff, or pick up the phone and have a nice little chat with them. The garden is thriving and looking good, tomatoes are looking excellent! We're just playing the waiting game so that they can ripen and we can harvest them. When harvest time does come, you'll won't want to miss it. So subscribe to the channel by clicking this button. You can click this playlist to see all of the videos in the garden series, and click this playlist to see all the videos in the Do My Own Lawn Care Series!